Yes, the sleep/lock/power button at the top of the iPhone can also be used to hang up a call, without having to rely on touching the iPhone screen. This is valuable for several reasons: it’s faster than tapping “End Call”, it can be done with a simple finger tap without looking at the screen, and it works even if the iPhone touchscreen is not working due to a hardware failure or a completely cracked screen that has the lower portion of the display unresponsive to touch. You’ll also be able to make phone calls in cold weather easier, or if you’re wearing gloves that aren’t touchscreen friendly. Just use Siri to make the initial phone call, then use the top button to end the call, all while keeping your toasty gloves on the entire time. Additionally, it works to hang up a call even if tapping on the “End Call” screen button doesn’t work, which seems to be an odd Phone app bug that happens at random for some users. The simple power button also has a few tricks up it’s sleeve for incoming calls too, with a single-tap silencing the ringer, and with a double-tap sending the call directly to voicemail. As some readers have pointed in the comments, the functionality is slightly different depending on how you are using the iPhone during the call. In order for the iPhone call to hang up and end the active call, you must be using the iPhone with an active phone call in handset mode (that is, held up to your ear how most people use a phone). If you have an active call with speaker phone mode turned on, or are using an AUX cable attached to the iPhone, pressing the power button will result in the screen locking instead of hanging up. This is a very old tip… Sorry. Old tip, yes, and not the best one. A well-known flaw that affects the iPhone 5 (not all, but some and fixed in the 5S) is a weak Sleep cable/switch assembly. I have this issue, myself. At first it becomes flakey, then fails altogether. Unnecessary taps of the button only increase the likelihood of a switch failure. 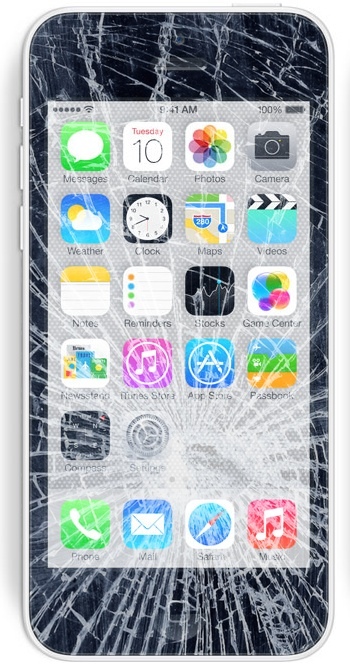 Granted, Apple will repair this under warranty, but out of warranty units will not get their attention… without big cost. Also, it is a difficult item for an individual or non-Apple repair facility to replace. I avoid using the Sleep button unless I have to. Thanks for the tip. I didn’t know this was a common problem. I had my first iphone 5 replaced after 2 months because the power button failed. On my second one, out of warranty I believe by now, and it’s button barley work with a case on. My iPhone 5 was one of the ones with a bad battery recall so it was replaced out of warranty. The Apple Store said that if they find anything wrong with mine, they will give me a new one. They found the broken Sleep button and replaced my phone entirely. I always find it interesting when information such as this is characterized as “tricks up its sleeve”. Really?! Call me old-fashioned but this and many other “secret tips” can be found in the iPhone User Manual, page 44 for this secret tip. I love this and use it all the time. It’s handy though particularly because it locks the screen when you’re done. Saves me a tap and I don’t have to check to make sure it ended. The lock button does not hang up the call and never has. It simply locks the screen and lets the backlight go off. It locks the screen if you’re on speaker — if you’re using the handset, then it hangs up. * If you’re using the screen it will just lock the screen and prevent taps as usual. If you have any physical audio connection into the iPhone, it will also just lock the phone. * If you’re using the actual phone on a phone call without an AUX connection, it will hang up the call as described. If you’re actively dialing a number, it will also hang up the call as described. Call a random 800 number to test it yourself. Oh to clarify further, it locks the screen if you’re on SPEAKER MODE, but hangs up the call if you’re using the actual phone as a phone like up to your ear. That is exactly what is described here, but who knew there would be so many additional options? Yes, it does behave differently if on speaker phone or there is an audio cable attached to the audio port. Touching the lock button hangs up the call if you’re using the iPhone as a phone in handset mode. Otherwise if you’re on speaker phone or have an audio cable connection, it will lock the screen instead. Tapping the Power button while on a call won’t do anything. On the other hand, clicking the Power button will end the call. Yah Jay, there is no touch screen on the power button so how do you tap it? You can’t tap that which is not a touch screen and there is no screen on the power button because Apple has failed in the great innovation machine, proofed by Google purchasing Nest which has all the former Apple insider creationists! But I digress Jay, so let us get back to the matter at hand, what is it that you mean by clicking the button, and with what? My trackpad? A mouse pointer? How do I get a mouse attached to my iPhone to end the call! I tried connecting my USB mouse to the iPhone but it does not fit, is this Apple’s fault for switching from the regular 30 pin adapter to a 7 pin adapter eh? Do I need to get the USB camera connection kit for the iPad and connect a mouse so I can click the power button with that? Can someone cover this topic thoroughly or shall I make an appointment with the Genius Bar? The trouble is there is no Genius Bar at Roanoke and thus I must drive in the vehicle, a method of transportation popularized in 20th century that utilizes gasoline propellant to convey a four-wheeled vehicle in a forward motion, also known as an automobile. Now, what I have found does work is to PRESS with a finger or other hard object the power button at the top of the iPhone, and that PRESSING behavior hangs up a call. But you must PRESS using the muscles in your finger to apply steady pressure to the button with enough weight or force such that is sufficient to make the button depress slightly down into the iPhone enclosure and thus trigger the mechanism to hang up the call, which is really just another way of saying end the phone call so that you are no longer in active communication mode over the cellular telephony network. It’s not really “hanging up” the call because you are not hanging the iPhone from anything! Except maybe the mouse you attached using the USB Camera Connection Kit from Apple, isn’t that right Jay? But remember, this is not “press” as in the type of press you use to squeeze olives to make olive oil, an excellent cooking oil that has health benefits but should not be near the vicinity of an iPhone at all. Additionally this is not to “press” as in the type of printing press used for creating a print publication of the type related to newspapers, books, and magazines printed with ink on paper derived from trees, being the type that grow from the ground in dirt, sprouting up towards the air. And, finally, this is not like that TV show “Meet the Press” either, which has nothing to do with pressing anything so obviously they are wrong on all counts! Does that make sense? Can I hang up this call yet? Oh I must clarify, the closest Apple Store is at Tysons Corner, in the state of Virginia, located in the eastern coastal region of the United States of America! I use the volume buttons to silence incoming calls and sleep my alarm in the morning. Did the button change between the iPhone 4 and iPhone 5? With dropping a call using the power button, what you are putting forth as a “tip”, is a big issue for me. This feature of the iPhone is an insanely dumb idea. I use an Android phone as well as a 5S. On Android the power button has nothing to do with continuing or dropping a call. Some times I want to turn off the screen because I want to put the phone in my pocket while on a call. Apple did not even provide a setting where I could turn this “nice feature” off. On a few occasions (one after being on hold for an hour and a half) I accidentally hang up on people during the process of bringing the phone from my ear to look at the screen. I didn’t wait long enough for the screen to appear before I pressed the power button and accidentally hung up. Apple should have a setting option to allow me to turn this feature off. For those of you with a broken lock button (like mine), try the Assistive Touch on the Settings – General – Accessibility. The lock in there works the same way as the lock button up on top, long press to switch off, tap on locked screen to hang up a call (especially handy when you have a passcode set for unlock). So you are saying if I am using my iPhone on speaker, and wish to end the call, Apple does not include an on screen button to touch to end the call???? So because of this, I must press (briefly) the power button at the top of the phone???? There is no screen touch button for this ???? Of course there is a touch screen button. And no actually nobody is saying that at all Jon, rather than making that ridiculous assumption why don’t you try making a phone call in speaker phone mode and discovering that indeed the same old hang up button is visible on the screen? This is just an alternative to hang up a call. Like using a cup instead of a mug, both work to hold a beverage. Try both, you will see. This is so stupid .what if I just want to lock my screen ? My face always hangs up the call . Ugh Apple FIX IT !!!! iPhone 6 ear speaker hole is right at the tip of the phone so half the time my screen is “on” against my face, which starts to irritate specially at night. Hit sleep, and bang you hang up on the call. Which AT&T seems to have it all jacked up with VoLTE randomly letting calls go straight to voice mail… one step forward, two steps back. My issue is two-fold. My iPhone has two separate screens for phone calls, which is very inconvenient. The first screen is white background with green buttons for making outgoing calls. Once the call connects, the white screen automatically is replaced with a black screen containing another set of buttons (this is for a call to a bank or doctor when one needs to tap a number to select an option) and a Hang up button. So why am I frustrated? Because if the black screen does not auto load when a call is answered, which happens a lot, not only does the white screen not have anyway to recall the hang up screen, if the black screen does not load, I cannot use the white screen’s green buttons to make selections to any calls I make that require me to press 1-9 to be routed to a specific department. So, I make a phone call to a bank, it is then answered by a machine, which then tells me to push 1 to speak to an operator. The black screen never loads and I am left pounding my useless green calling numbers on my white screen in frustration, and since the end call button is on the black screen as well, I have to push in the power button to end the call completely and then call again, hoping the black screen will load on the next try! Why there needs to be two separate screens one has to navigate through to make one phone call is just beyond ridiculous. Does anyone out here know a way around this issue?